Poised to stand among the great war novels, the harrowing chronicle of a sniper during the Chechen War. “The saboteurs? Holy Christ, what happened? 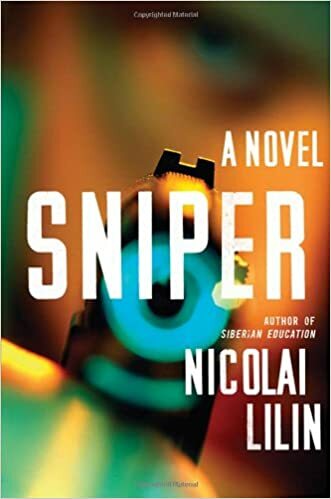 What did you do to deserve that?” a fellow soldier responds when he hears that Nicolai Lilin has been assigned to an unconventional, ultra-high-risk paramilitary unit of the Russian army. Also nicknamed the “para-bats” for the black parachutes that dropped them behind enemy lines at night, Lilin and his fellow “saboteurs” soon find themselves fighting Islamic insurgents armed with American weaponry in the breakaway province of Chechnya. In vivid, harrowing detail, Lilin relays how, under the mind-bending dangers of heavy fire, on unknown terrain, in unpredictable small villages, the only goal is survival. Under the leadership of corrupt generals profiting from the war, his unit develops a camaraderie that is their best hope for staying alive―and staying human. Ultimately, the return to the bland normality of an impersonal society at “peace” might be the hardest struggle of all. Writing with unhindered directness and power, Lilin combines his own experiences as a sniper in Chechnya together with the stories of those he fought beside to forge an autobiographical novel unique in the literature of war. A bestseller in Europe, this novel will remain an unforgettable account of one of the ugliest conflicts of our time.